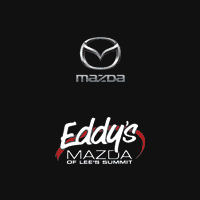 Find an extensive selection of affordably priced used cars for sale at Eddy’s Mazda in Lee's Summit, MO! Whether you’re on the market for a pre-owned AWD Mazda6 or CX-9, you’ll find a great selection of low-mileage sedans, SUVs, and more. Why Choose Used Cars at Eddy's Mazda of Lee's Summit? Avoid The “Depreciation Tax”: As soon as you drive a new vehicle off the lot, it begins to depreciate. Avoid this tax by letting someone else pay it by buying a used car! CPO Vehicles: Certified pre-owned vehicles come with guarantees and warranties after undergoing thorough inspections and reconditioning. You receive many of the benefits of a new car without the price-tag! Cheaper Insurance: Insurance companies love it when you buy a used car, since it saves them money, too. Enjoy discounted rates when you buy a used vehicle at Eddy’s Mazda!